I’ve been taking up flying lessons lately at the North Shore Aero Club – flying a number of their planes such as the Robin 2120, Piper PA-28, and some past flying in the Slingsby T67M200. This page contains some useful stuff that I’ve written during my years of training which others may find helpful. 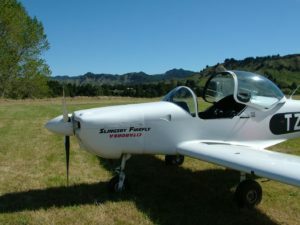 The following checklists are design specifically for aircraft available from the North Shore Aero Club and operating from the North Shore Airfield. They may well be useful for other places and aircraft. I wrote these checklist as a part of my training and flight tests. Each is available as a PDF file ( you need Adobe Acrobat reader ) or an OpenOffice document. They are all formatted as an A5 page to be inserted into a small folder, or bound into a small booklet – small enough to add to a flight kit without taking up too much room. NOTE – these lists are provided without guarantee of accuracy. Do not rely on the information in these lists to conduct a safe flight : ultimately it is up to the Pilot in Charge ( PIC ) to ensure that a flight is conducted safely. Please notify me of any corrections or omissions. 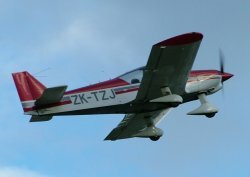 Slingsby Firefly T67M200 Short Checklist – a short 4-page A5 checklist for the Slingsby Firefly T67M200 (ZK-TZX). This was adapted from the Slingsby flight manual and changed to work around the aircraft anti-clockwise, like we do with the Robins. This needs a couple more sections to be added yet.